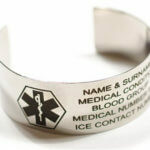 This unique UNISEX Cuff Bangle is manufactured from Polished Stainless Steel -Grade 316- which is the highest grade of Stainless Steel or more commonly known as Marine or Surgical Stainless Steel. 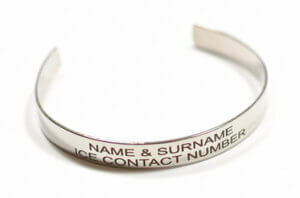 This Cuff Bangle is available in 8mm width (thickness). 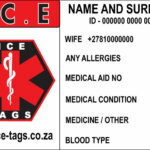 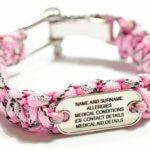 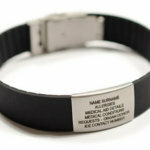 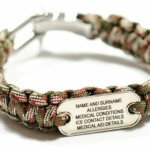 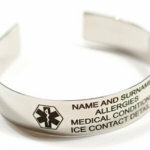 2 lines of information only can be engraved on the 8mm Cuff Bangle with no option for a Medical Logo to be engraved. 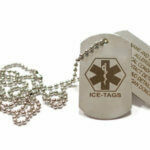 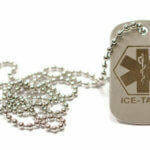 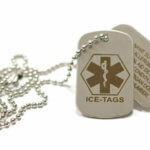 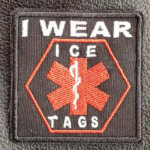 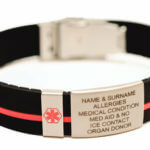 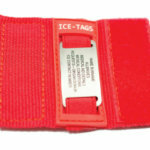 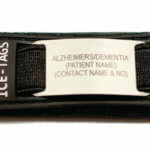 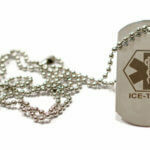 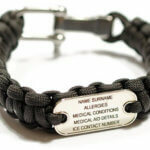 We do not recommend any ICE-TAGS Medical Information to be Laser Engraved on the inside of this Cuff Bangle.